From time to time, the planets line up and you feel complete. This year, I’ve had the privilege of working on one of those musical projects where creative freedom, illusion and friendship converge. In addition to my task to create the cover as in other Don’t Disturb’s projects, this time I was also generously invited to contribute as a musician with some synthesizer tracks. It was a gas! 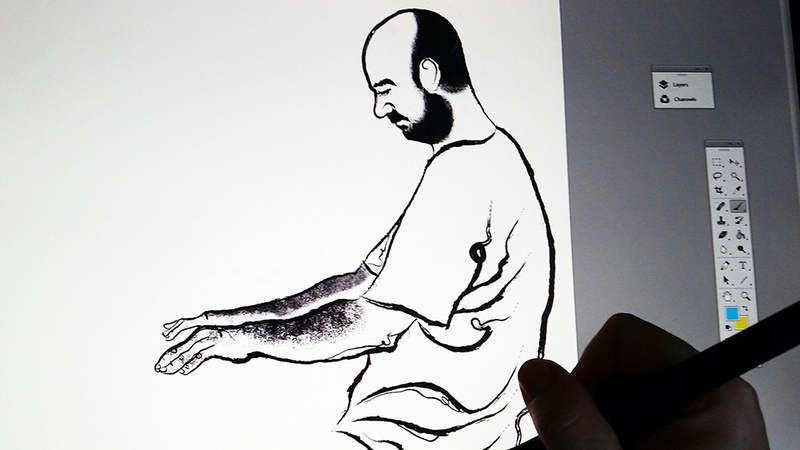 Don’t Disturb is the Jazz / Fusion solo project of my good friend, keyboardist Juan Carlos Díaz -aka Samper-. 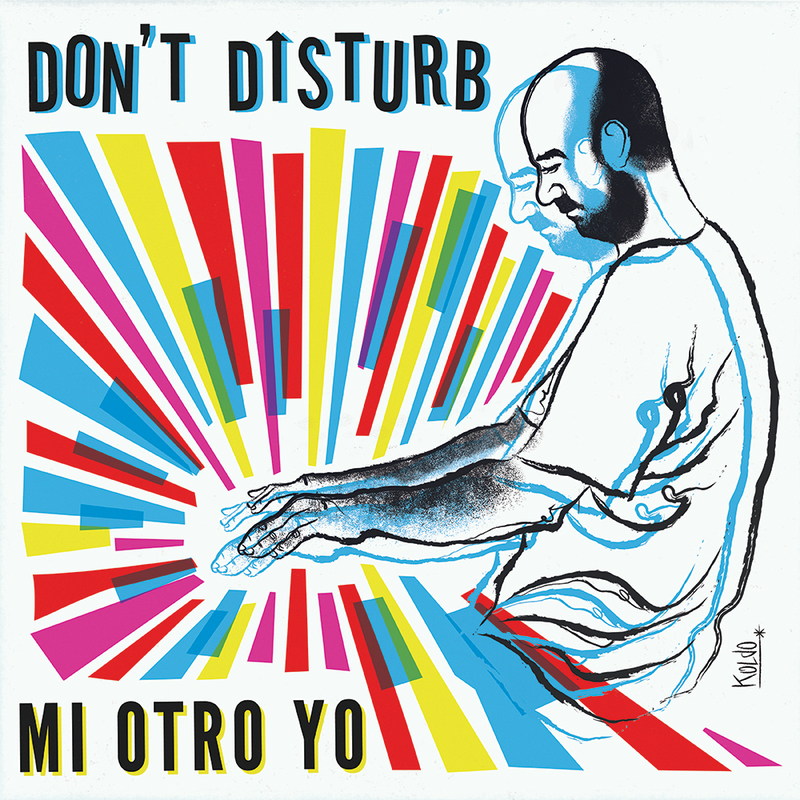 “Mi Otro Yo” is his third work as Don’t Disturb. 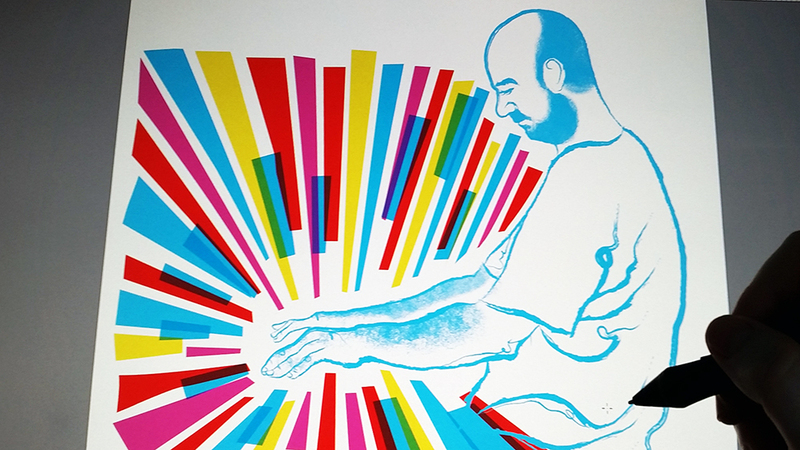 “Mi Otro Yo” is a diverse instrumental album, created in a very spontaneous way. It’s full of refreshing, whimsical and dynamic ideas. The motto to create this cover was to capture the general feel that I’d get from the songs. As I was getting the new themes from Madrid, the sensations of vivid colors and geometric forms full of energy were forming in my mind. That’s what I have finally captured on this cover. My good friend Samper is also one of the most essential people in my life. We met 30 years ago when I invited him to join Ty-Jir, the Spanish progressive rock group that I was involved with in those days. Since then and through the years, we have collaborated on various musical projects and shared unforgettable moments. Almost always between tears of laughter. 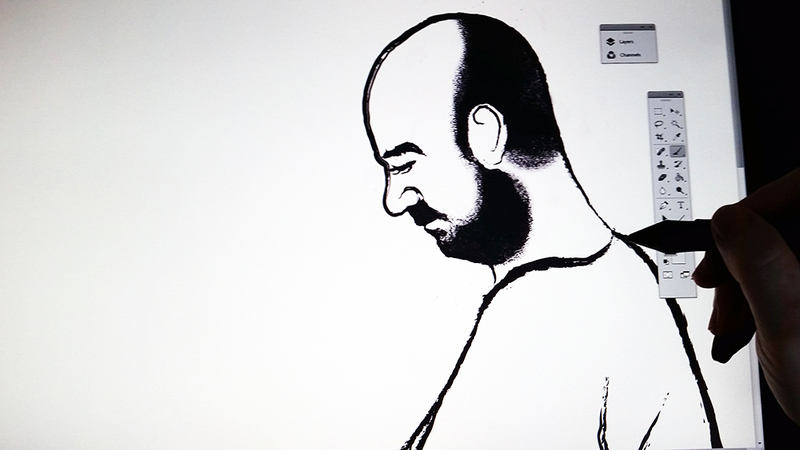 It’s been very exciting and emotional for me to portray my friend Samper as I’ve sensed in countless concerts and moments of recording studio: with a quiet gesture, secure arms, and harmonious hands.